Margie Weiler is on a quest. She has more than 20 ancestral villages and churches she wants to visit in a space of eight days. Can it be done? Absolutely, with careful planning and with cooperation from Mother Nature, as the trip hinges around the photography of places where her husband’s ancestors lived before emigrating to North America. 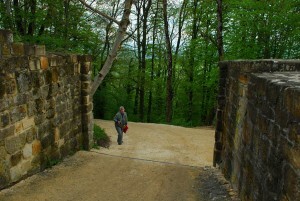 One place we visited on Saturday, May 11 is the hilltop hamlet of Hohenstaufen. The seat of the Staufer Dynasty, the village hosts an ancient church built in the 1200s and the ruins of a castle, once majestic, now little more than a low-lying collection of ruins but with a magnificent view over the surrounding hills, valleys, rivers and hamlets. It’s a view once taken in by those who ruled over this part of present-day Baden-Wuerttemberg, and it is one enjoyed by bikers, hikers and of course, family historians today. 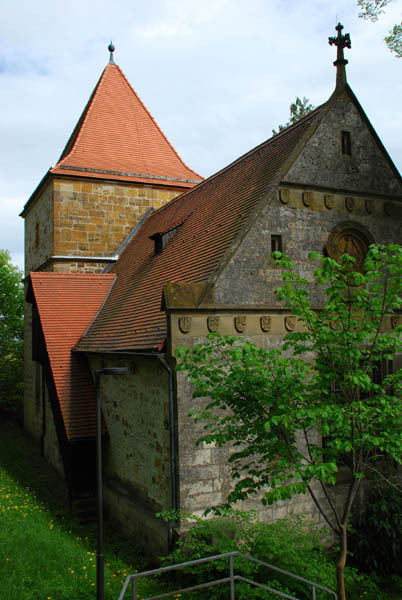 Hohenstaufen dynasty, also called Staufer dynasty, German dynasty that ruled the Holy Roman Empire from 1138 to 1208 and from 1212 to 1254. 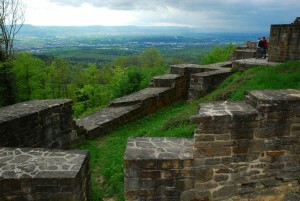 The founder of the line was the count Frederick (died 1105), who built Staufen Castle in the Swabian Jura Mountains and was rewarded for his fidelity to Emperor Henry IV by being appointed duke of Swabia as Frederick I in 1079. He later married Henry’s daughter Agnes. His two sons, Frederick II, duke of Swabia, and Conrad, were the heirs of their uncle, Emperor Henry V, who died childless in 1125. 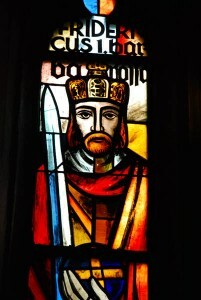 After the interim reign of the Saxon Lothar III, Conrad became German king and Holy Roman emperor as Conrad III in 1138. 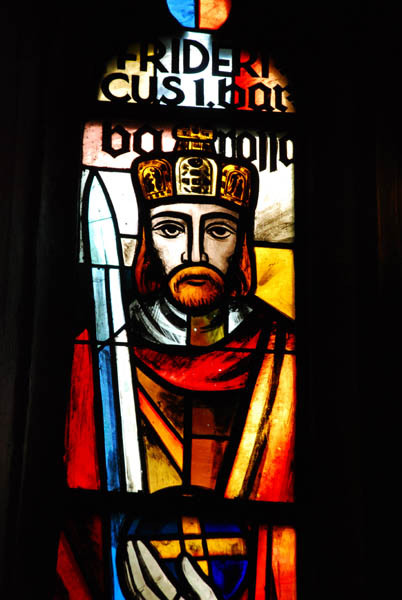 Subsequent Hohenstaufen rulers were Frederick I Barbarossa (Holy Roman emperor 1155–90), Henry VI (Holy Roman emperor 1191–97), Philip of Swabia (king 1198– 1208), Frederick II (king, 1212–50, emperor 1220–50), and Conrad IV (king 1237–54). The Hohenstaufen, especially Frederick I and Frederick II, continued the struggle with the papacy that began under their Salian predecessors, and were active in Italian affairs. Posted in Europe Tours and tagged dynastry, emperor, friedrich, Hohenstaufen.